I finished reading this amazing book! It’s called ‘The Girl with the Dragon Tattoo’. I read slowly so I think I took more than a month to read it. It was by Stieg Larsson who unfortunately passed away last 2004. This book I’m talking about is the first book of the ‘Millennium Trilogy’ of crime novels. He was Swedish and so the setting in the book is in Sweden, naturally. What’s fascinating about this book is that it was published after Larsson died. It is said that he wrote the manuscript for the three books in the crime trilogy for his own pleasure. They were left unpublished until they were discovered. I wonder what kept his from publishing his brilliant work? The book was nothing short of amazing. Maybe he didn’t for people to flock over him whenever he goes out for autographs and pictures. Maybe he just really liked writing. The book was quite thick and the chapters of it was not I expected them to be. The chapters were long and had partitions and transitions between scenes. At first, it was all a blur to me just like when you’re reading a book. I couldn’t understand what was happening but I continued to leaf through the pages and I saw light. It was cleverly plotted and the mystery is mind blowing! The mystery was a nutcase and the characters managed to discover the truth behind it all. I don’t know if people in real life are capable of doing the things that the characters went through just to find the truth. The journalist, Mikael Blomkvist, was really intelligent man whose reputation was greatly scared by a recent controversy regarding an article published in the business magazine Millennium which he partly owned. He was charged with libel and was offered a job an wealthy industrialist to solve a 40-year old mystery. The plot is so extensive that it is really hard to describe it all in a paragraph or so. 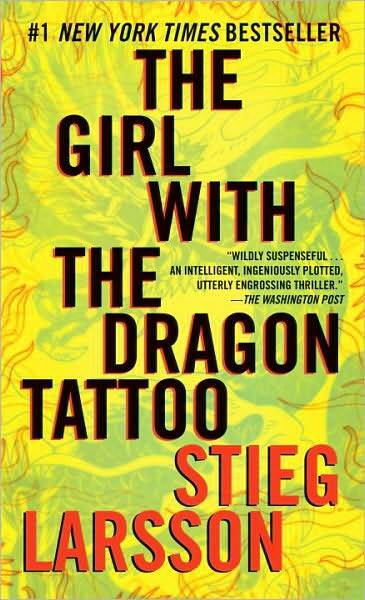 So, where does this girl with the dragon tattoo comes in? Is she real? You’ll just have to read it for yourselves my friends. And another thing is that it has already a movie adaptation. Your imagination can be realized immediately after finishing the book. I am craving to watch it but I can’t find time and a stable internet connection because I want to stream it online. And there are still two books to be obsessed about! I need to fill my veins with more crime and mystery. I really recommend these books if you enjoy reading!